As regular readers of this blog know, I love mending clothes. I used to get upset whenever I stained or tore a favourite garment, but no longer! Instead I get excited at the latest item to add to The Visible Mending Programme. By darning, mending or “camouflage embellishment” I transform those stains and tears into features that turn my clothes into something uniquely mine. When I make my own things, I already put a lot of myself in them and they instantly feel like a tomofholland thing, having spent time and energy on the creation process. Not so with shop-bought clothes. Even if you are a discerning buyer and manage to find some unusual things, it is still just another jumper, t-shirt or whatever. And although shop-bought clothes can also become favourites, I find that I like them even more when I have had to fix them – they have suddenly turned into another tomofholland item. 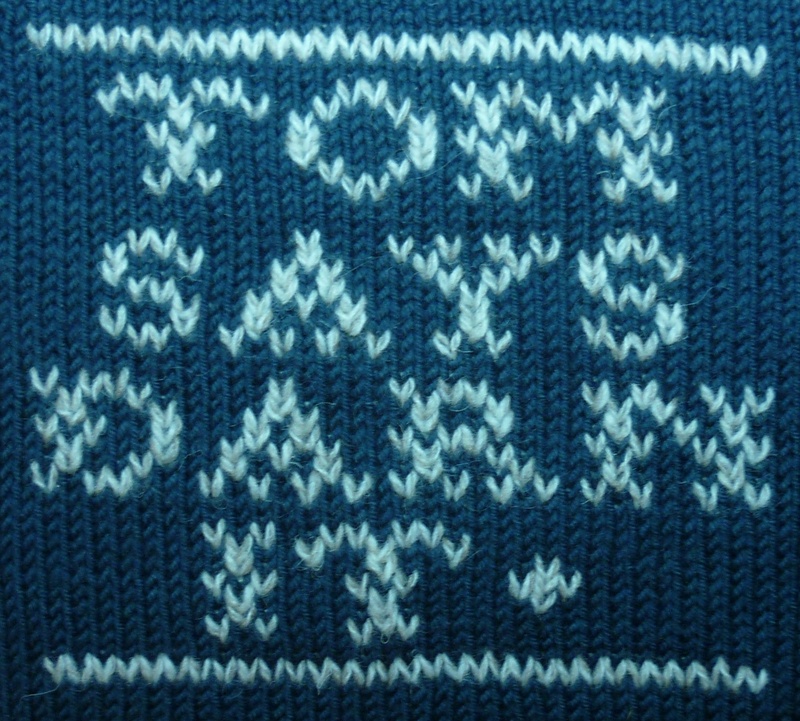 So, on Saturday 29 October 1-3pm, I will run a darning workshop at Prick Your Finger, where I will show you some of the techniques I use. 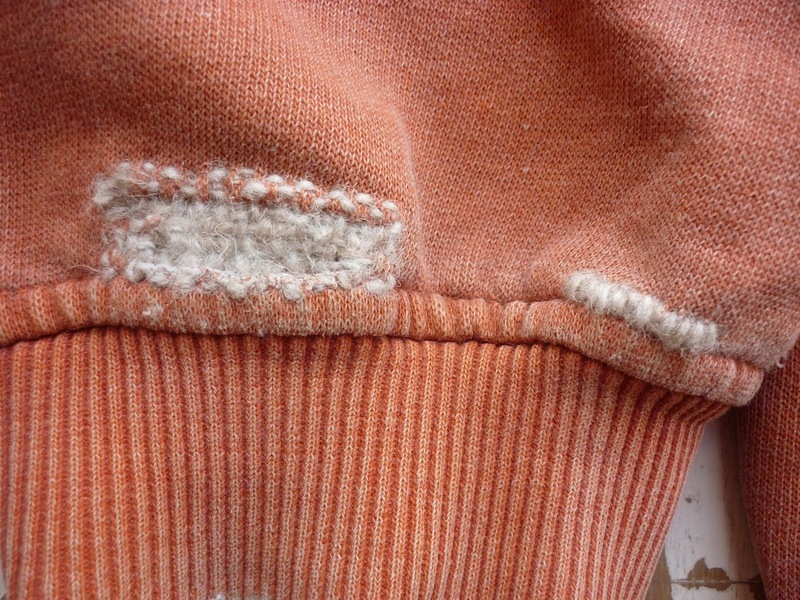 Topics covered: Swiss darning (a.k.a. duplicate stitching), ideal for thin patches; regular darning with a darning mushroom, useful for repairing holes; demonstration of my vintage Speedweve. Costs: £35. You get to keep your darning needles and a card of mending wool. Book on-line in the Prick Your Finger webshop, or ring the shop on 020 8981 2560. Bringing your own holy socks and thin elbows encouraged! It was the most lovely afternoon, Tom. Thank you so much. I have a pile of darning here to do and am actually hoping for bad weather so that I can sit indoors with a cup of tea and immerse myself… now that I’ve found my specs, that is. Colleen, it was a pleasure to have you. Please send me some pics of your darning so I can post them! Nothing like a drizzly afternoon, a cuppa, the radio on and some darning to do.